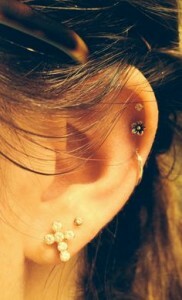 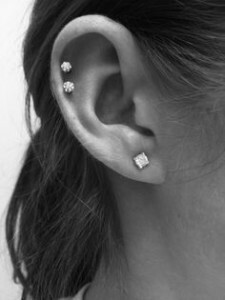 What is double cartilage piercing? 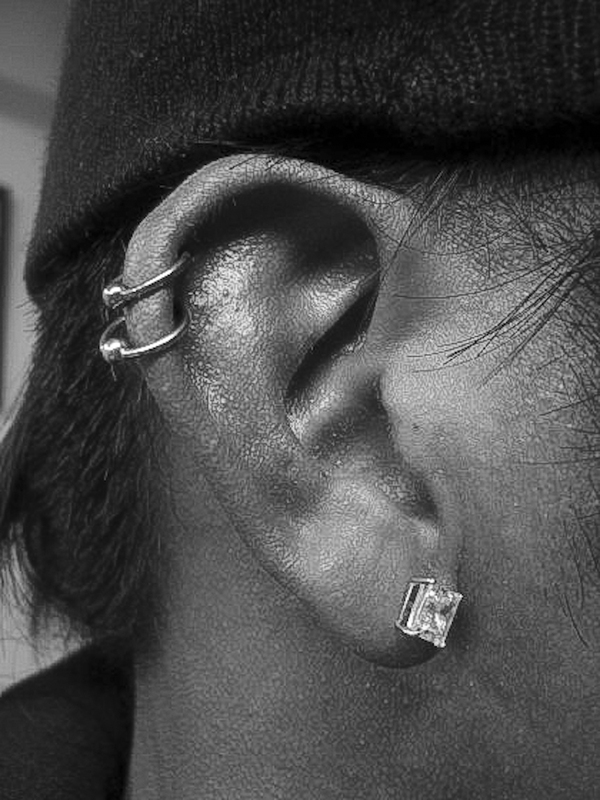 While earlobe piercing is a common body modification trend, many piercing enthusiasts are trying out the different styles of ear cartilage piercing. 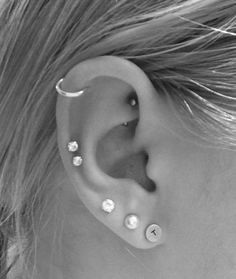 When it comes to the location of the piercing, you can get your helix, conch, rook, or tragus embellished with innumerable jewelry in varying designs, shapes, and colors. 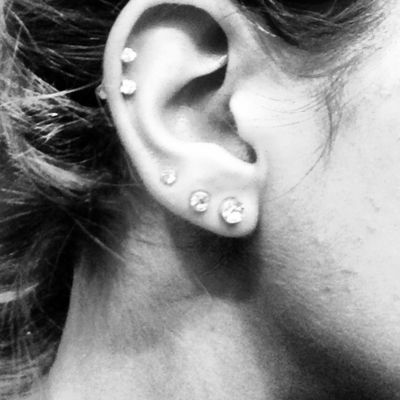 Double cartilage piercing being one of its variations refers to double perforations of any part of the ear cartilage. 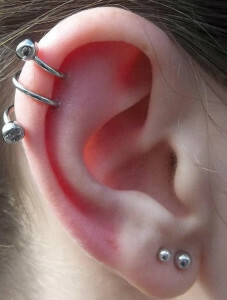 However, the cost of the piercing will depend on the two areas you select. As cartilage is the thickest part of the ear, getting it pierced would result in some amount of pain, though not all individuals have the same pain threshold. 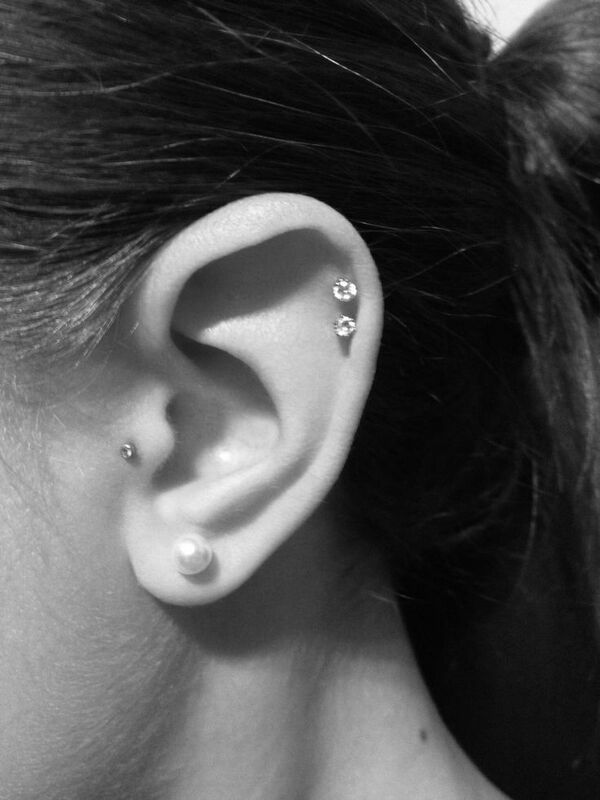 For this reason, a highly trained piercing professional is required to carry out the procedure in a safe and secure manner. Lack of care can cause infection of the piercing resulting in swelling, redness, and pus discharge. 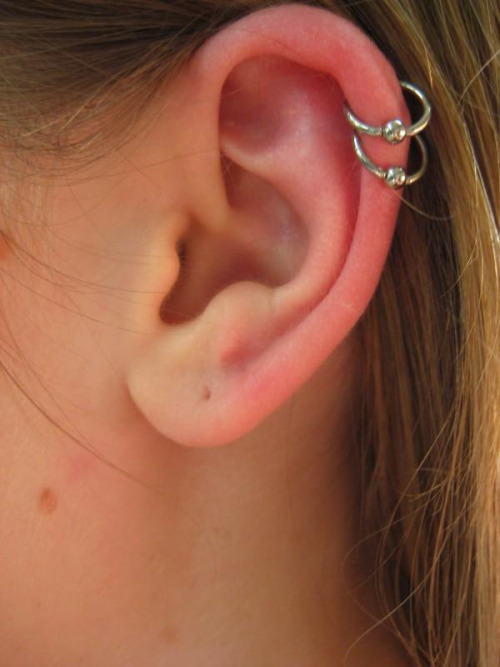 As the healing time varies from location to location, it is important to follow all the precautionary measures during this period. 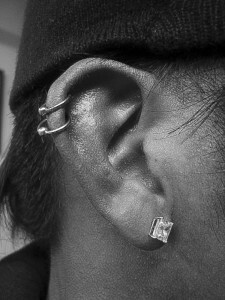 Although cartilage piercings are less prone to rejection, using the wrong type of jewelry can increase the risk. 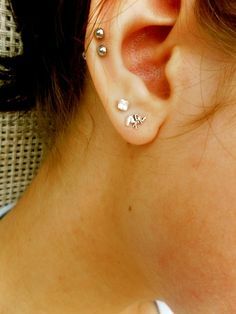 Adorn your double pierced cartilage with barbells, captive bead rings, studs, hoops, and spiral earrings in different combinations to make a fancy statement.